Successful organic gardening relies on a series of small but vital choices we, as the gardeners make. Something as simple as where you buy the seed you choose to plant is pivotal in today’s world of GMO where even the seed coat can affect the final product. 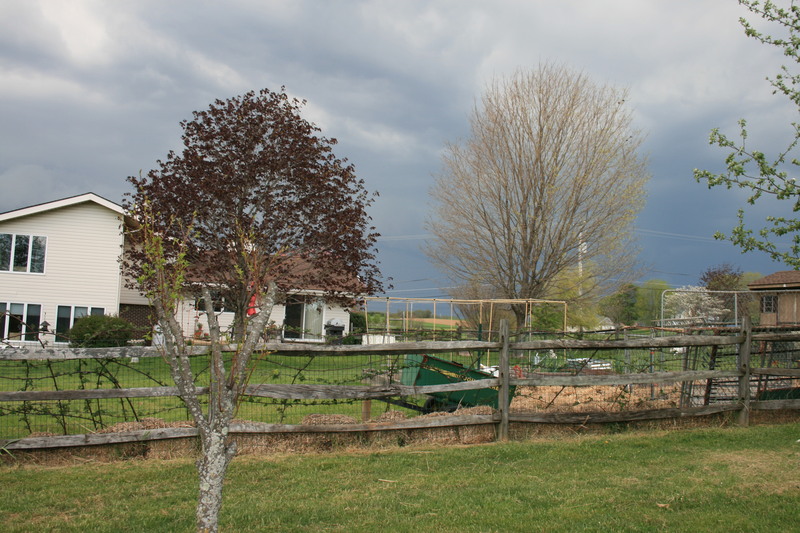 Weather can help or hurt a garden. Some factors, like the volatility of the weather, are out of our hands but other factors like proper hardening, picking the right site for each plant and deciding what day you put your babies in the ground all affect gardening success. But one of the most important factors is watering. When do you water? How do you deliver the water? How much? How often? When you water new transplants is critical. 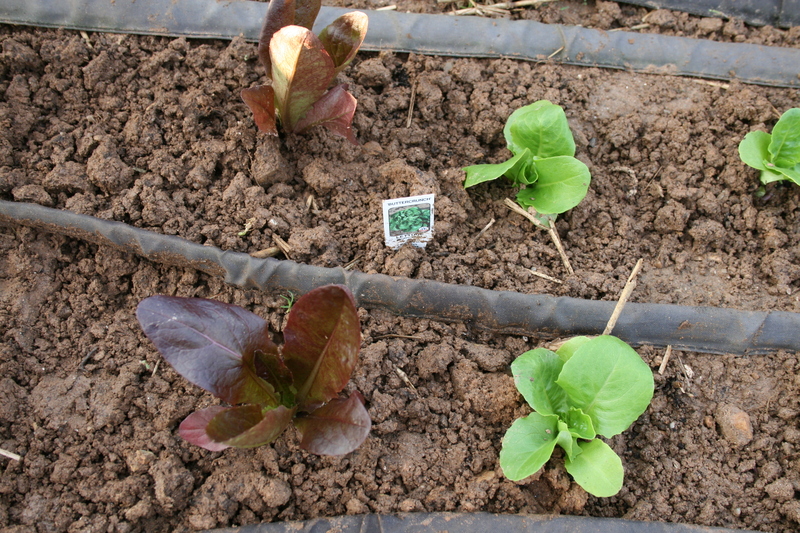 move vegetable and herb starts from peat pots to the ground, easily. Transplanting is pretty simple. Dig the hole, peel the peat pot back so that none of it is sticking up above ground level, place the transplant in the new hole and firmly press dirt all around it. Ensures the roots of your baby and the dirt are in solid contact. Eliminates air pockets that could dry out bits of the baby roots and kill the plant. Stops the dirt from acting like a sponge and wicking off the water. Watering in new transplants works. This year, I transplanted a total of 199 fruits, vegetables, herbs and flowers in my garden. I only lost 2. I credit watering in with my success. Deep-Rooted Wisdom is my favorite gardening book. It’s been 60 years since my Mom introduced me to this concept and this summer, for the first time, I read about this technique in what has rapidly become my favorite gardening book. Deep-Rooted Wisdom by Augustus Jenkins Farmer was a gift from my sister-in-law,(I think the best gift I got for my 68th birthday!) Watering in is just one of the common sense ideas for gardening that the author offers. Read up, give them a try and let me know what happens in your garden! If you want more watering tips, check out the best soaker hose I have found! It’s also one of the tools I consider “nice to have.” You can garden without it but over time, the hoses will pay for themselves. I admit it. My back hurts. It pretty much hurts all the time now. Following two surgeries on my left hip, I was left with two scars (7 inches and 4 inches) slashing horizontally from spine to hip bone and doing battle every day to see which cut muscle can spasm the most. Some days, it seems like they are both winning but a little pain is not stopping me from putting in my garden this year. In fact, it’s made me rethink a few things. Straw protects my garden in the winter. 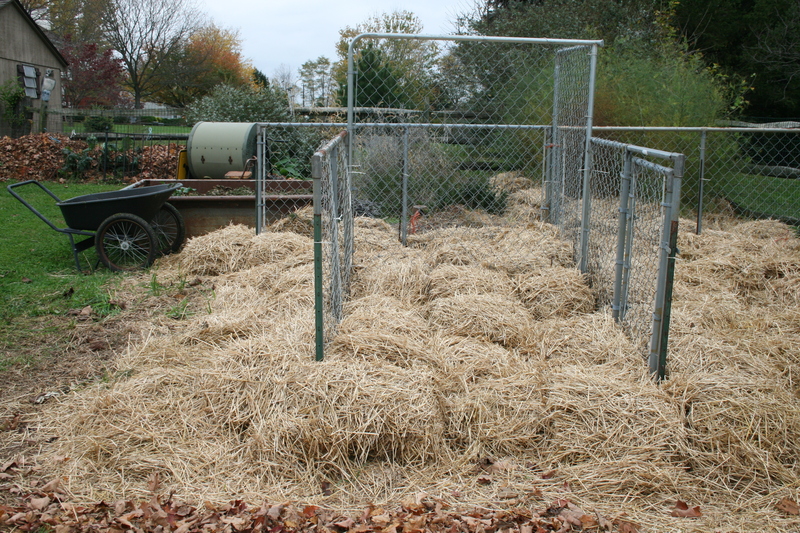 All of my soil is covered by straw for over-wintering. Straw keeps down weeds but it also keeps the soil cooler, longer. If you grow Mediterranean veggies like I do — tomatoes, peppers, eggplant – you know the soil has to be warm, warm, warm so the first job is pulling the straw back. The first thing I do is pull back straw from my planting areas. Next, I move the fences and rails I am going to use to trellis everything from tomatoes to cucumbers to new locations. The raised beds get the next look-see. I add soil or compost to the beds, level them off and get them ready to receive my transplants. Last but definitely not least, I lay out my soaker hoses being careful not to knock about the baby lettuce already growing. Soaker hoses are set in place early. That blasted tortoise showed up this year and gave me some advice on how to win the race to put my garden in without too much pain. I am following it. That’s 63 plants and 63 holes of varying depths, all at once. And this list doesn’t include the 3 types of beans I put in the ground now that the lilac is finally in full bloom. This year, I am staging my planting. I dug 16 holes for the tomatoes, a week before I needed them. All I have to do is set the tomatoes in holes, press, water them in and stake them and quit for the day. The “quitting” is the hardest part for me but I am letting my back give me orders this year. If my back feels okay the next day, I will dig the holes for the eggplant and the peppers and plant the following day. Holes for herbs will be next, then planting. Last to go in the ground will be zukes and cukes around the end of May because these babies really like their soil warm. Raised beds are easier on my back. The size of my garden hasn’t changed much over the years but how I garden has. I started with no raised beds; this year 6 of them. One is an old Chevy truck bed in the background. 3 are home-made, 12 foot long boards held together with corners from Gardener’s Supply. Raised beds let me work with soil that is softer, more friable and easier to dig in. I also can reach the ground a bit easier as it is close to my knees. 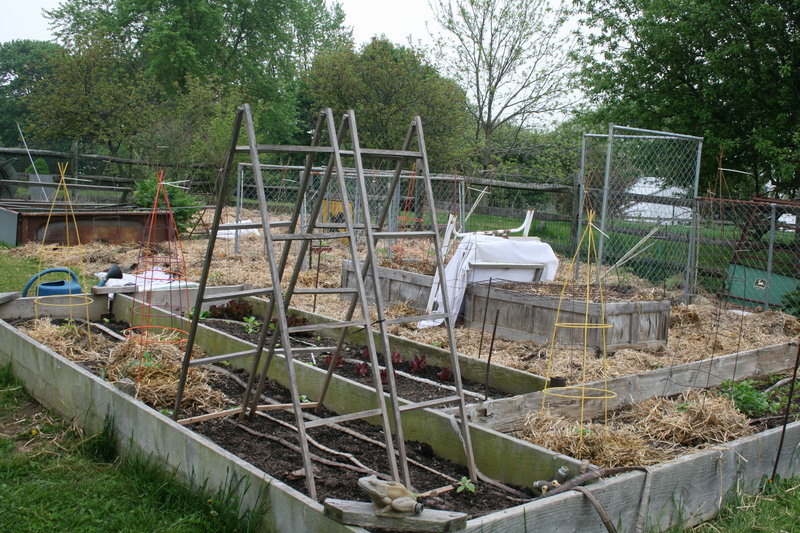 I can sink stakes and cages and trellises into my raised beds without my hand sledge. I plan on adding 2 more raised beds next year so I will have even less digging to do when it comes to prep and planting. 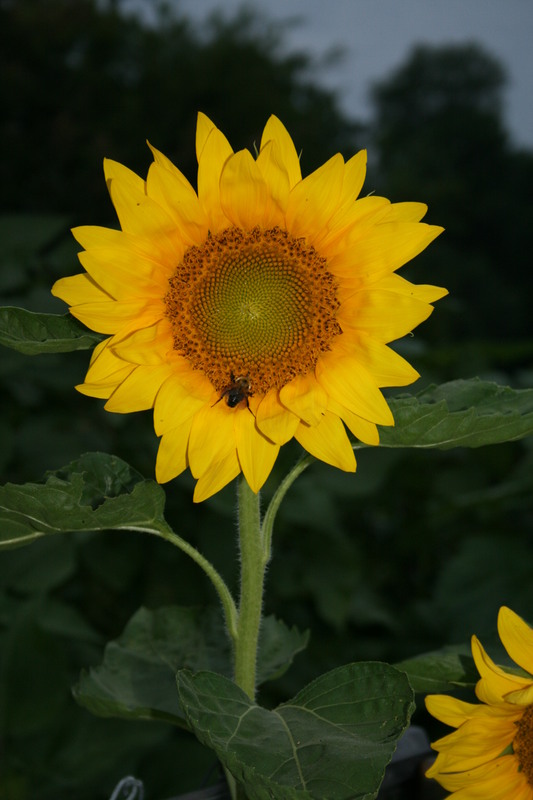 A bee visits one of my sunflowers. If you’re an organic gardener, you don’t use neonics which we know are killing bees and damaging the environment. Or so you think. But, if you are not buying organic seeds and organic plants, you very well may be poisoning bees right in your own back yard. Eartheasy shares the latest information on neonics and on how these deadly herbicides and pesticides have slipped into just about every aspect of the farming and gardening world and the result is devastating. Eartheasy provides more information and more insights on their site. Check it out and find out how we might just be undermining the health and well-being of our bee friends and not even know it!